I like my hair a lot, you could even say I love it. Sadly it spends majority of the time in a mixture of weaves and braids. why? Well I don’t want it to break, it’s been a long road to get to this point. So when AVOS Hair asked me to trial the new PK Trico hair regime I jumped at the opportunity as it promised to: make your hair look and feel fuller, thicker and more volumized while encouraging healthy hair growth. Healthier hair would result in stronger more resilient hair that I could leave out for longer periods, and of course the added benefit of having fuller and thicker hair. Before I started the PK Tricotherapy course, I already had a regime of my own using the Philip Kingsley Moisture Extreme Shampoo, Conditioner and Elasticzier Extreme Pre Shampoo Treatment and for my relax I use Phytospecific relaxer. I have my hair relaxed about every 6 months, wash twice a week,allowing it to air dry (only applying heat when I needed to have my hair styled). This has been my routine for the past three years and I started using Philip Kingsley 18 months ago, and I can say my hair texture and growth has vastly improved. So, moving onto the Tricotherapy regime, consisting of three products to provide an holistic approach to hair care; Tricho Pro: volumizing protein spray, Tricho 7: volumizing hair & scalp treatment, Tricho Complex: hair nutrition formula. I followed the instructions religiously for 8 weeks (I had to stop for about two weeks for unrelated medical reasons), I can honestly say there is a difference! I'd say it took a few days for me to notice the effects of the volumizing protein spray, this delay in time may have been due to me not having my hair blow dried straight when I started using it. It took about two weeks to notice a more general improvement in my hair. Initially to really notice the effects of Trichothearapy I had to either blow dry my hair using an afro pik or flat iron it. Fast forward 8 weeks later.... the result has been outstanding! the amount of hair shedding has reduced and since I relaxed my hair at the start of summer. I have been able to wear my hair out for the longest period in a very long time! Now it's recommend you use the product for 3 months before you expect to start seeing results, and this would vary from one person to another. I was able to see a difference after 8 weeks of use, I was also on holiday in Australia for about two thirds of the time whilst using the product (water down under is softer than that of the UK, most especially in lovely London city). It is also clearly stated on the packaging "DO NOT CONSUME Tricho Complex ON AN EMPTY STOMACH" and please consult your GP prior to use if your on any other medications. It is important that your eat prior to taking the tablet, and you combine this with a healthy and well balanced diet. 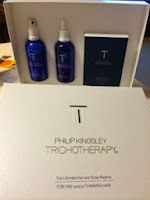 Side note, if Tricho is too much of an investment for you currently, I would fully recommend switching to PK products. There's a range for different hair types e.g. 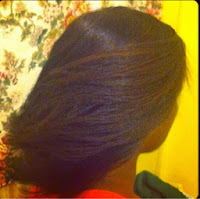 relaxed, natural, in- between, its near impossible not to notice the difference in your hair texture if used properly. 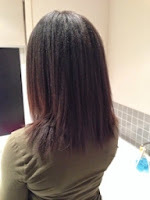 I have now finished the Tricotheraphy regime, and to maintain my length and healthy hair i will be taking the PK4 Hair supplements as part of my healthy mane lifestyle. This is the longest period I've had my hair out since my pre-teen years I am very happy with my hair and the journey continues. 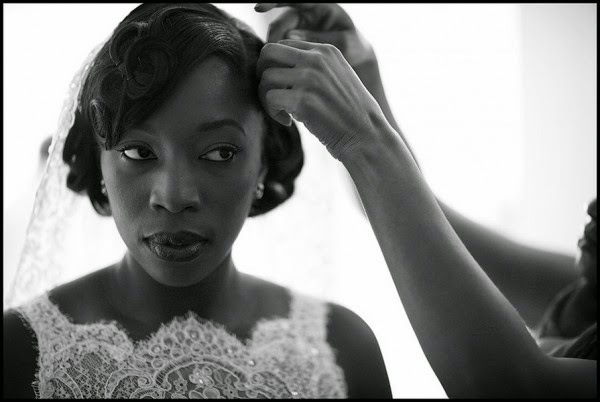 It also helps to have a stylist who is passionate about your mane and understands you! 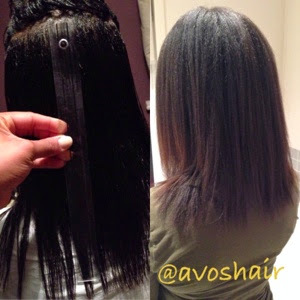 Contact us at AVOS Hair for a consultation and how to begin your journey to healthy mane... thank you Yemi for your time and testing our this amazing product for us.